Laser spine surgery is a minimally invasive surgery highly acclaimed by surgeons across the nation. It was introduced over 30 years ago, and has recently been excessively rising in popularity with evolved technology and knowledge. Laser spine surgery is typically a go-to procedure for patients with neck and back pain. Using lasers, doctors and neurosurgeons can more precisely target soft tissue to help relieve pain and ridding of excess dead tissue surrounding the spine. It is also a procedure used to trim any bulging or herniated discs to ease pressure on the spinal column and nerves. Although laser spine surgery is said to have unproven benefits by the National Institute of Health, doctors everywhere have relied on its usefulness to help relieve back and neck pain in countless patients. Laser spine surgery has become wildly popular in the medical field, and it is continuously and rapidly growing into an effective, helpful, and patient-convenient procedure that will undoubtedly continue to climb the charts. For those suffering from chronic neck and back pain, daily life can be a painful struggle. Even the most enjoyable activities can be difficult to partake in when every movement brings up unbearable pain and discomfort. It’s extremely common for patients to feel helpless, hopeless, depressed, and out of options when short-term remedies fail to provide relief, and pain medications cause unpleasant side effects. But BecomePainFree.com utilizes our Laser Spine Program and it has great news – our advanced endoscopic procedures can help you rediscover your life without neck and back pain. 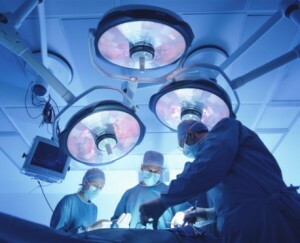 Unlike normal open neck or back surgery, ours require a less than 1-inch incision. This means our procedures involve a much shorter recovery time than traditional back surgery, and in fact, many of our patients are back on their feet within an hour after their procedure. BecomePainFree.com’s medical group performs more minimally invasive spine procedures each month than any other spine facility in the nation, so trust us for proven relief from chronic neck and back pain.